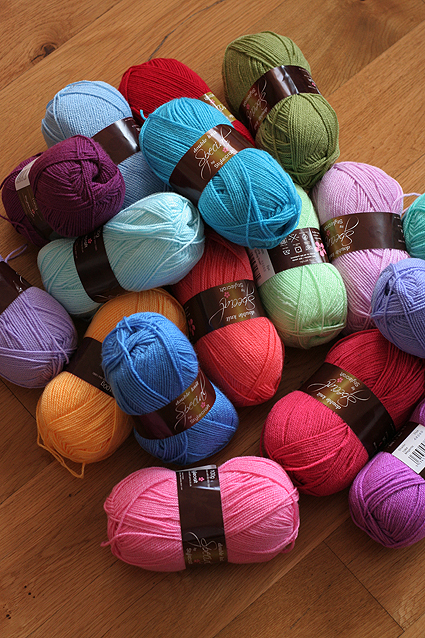 A fresh batch of yarn, just arrived from the UK. A ripple blanket? Granny squares? Decisions, decisions. Buy your yarn pack here.